In tough times, when budgets are limited, press releases are a particularly good way to interest the media in a business’s news. After all, if a release leads to an article in a newspaper or magazine, unlike advertising, that coverage is free and arguably more powerful. But if writing is not your job, it’s tempting to think you don’t have the skills to write a press release. Well, it’s really not that difficult. That said, when I was the Health Editor on the Daily Express, I was always struck by how many badly written ones I received – often from people who, as press officers, were meant to be skilled writers! Therein lies a major problem: when you’re being paid by your company or by a client to write a release, it can be very difficult to argue against writing what they want written, rather than what the journalist wants to read. And of course by “journalist”, I mean his or her readers. But it is possible to do the right thing by the audience and the business. However, you must stick to a few basic rules. If you want the media to write about your new factory, product, CEO or event, ask yourself, “What would the audience be interested in reading?” before you type a single word of the press release. Perhaps the readers will be most interested in the jobs the new factory will create, maybe it’s how the product will improve readers’ lives, and as for the new CEO, perhaps the most interesting part for a local newspaper, is how he/she went to the town’s comprehensive school, rather than the fact they previously spent 10 years working at the other end of the country. And here’s a final thought and just one example of how to think like a journalist: you probably want to put your company name in your press release headline, but unless you’re a FTSE 100 business, it’s unlikely the journalist would do this in the subsequent news story – they’re more likely to use a generic term such as, “Software engineers/Childcare provider/Insurance company…..”. 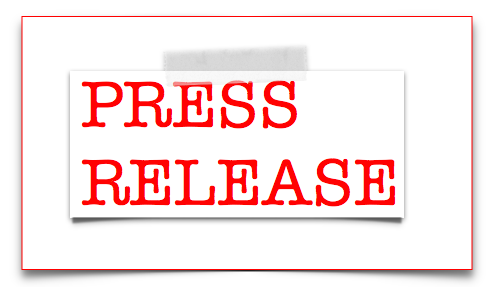 Promoting your business through press/news releases is not difficult….once you know how. And there’s no better way to find out how than from the people who make the ultimate decision on whether to use what you’ve created for their news stories or features: journalists. Here at AB Business Training we run workshops on How To Write Brilliant Press Releases – get in touch for more information.